There's no doubt the addition of an inground pool will enhance your lifestyle - but shouldn't it also enhance the value of your property? Our focus at KD Poolscapes is to help create a lifetime of memories for you, your family, and your friends. Let's face it; having your own backyard oasis can simplify life. No more long drives to a cabin. No more wondering where your kids are. No more worrying about gas prices or packing for a vacation. With our consultative approach to design, combined with our construction processes, you can have it all and more - just steps out your back door. 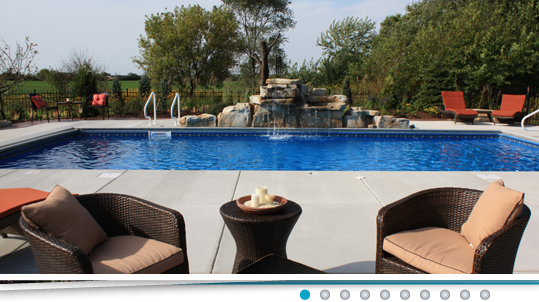 We can provide all the components necessary to create the backyard you’ve always dreamed of. Done ONE project at a time.